Cold and flu season is coming. 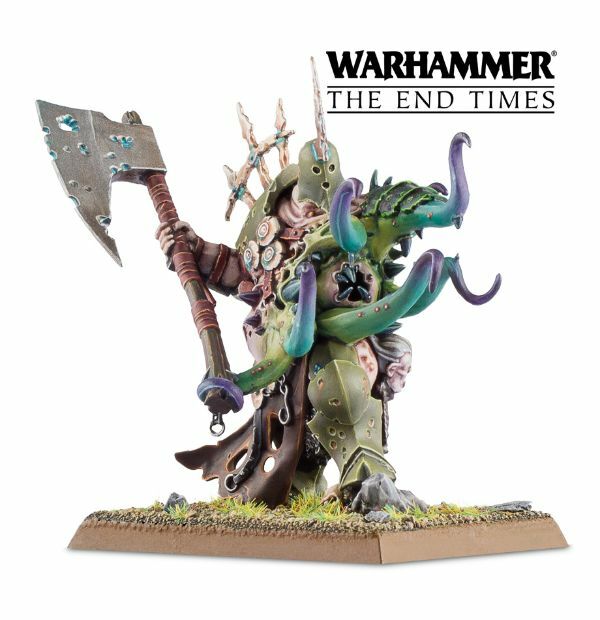 What a perfect time to talk about Nurgle! 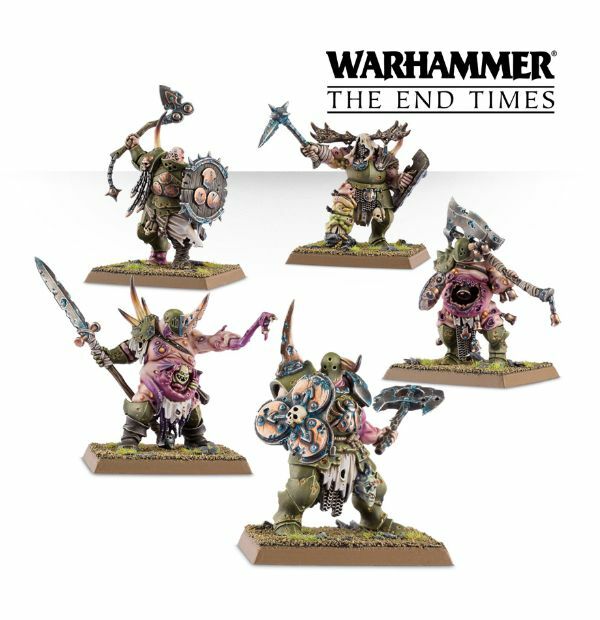 TGN's Enrico Nardini braves the potential for contamination and takes a look at what these new Nurgle releases hold for Warhammer Fantasy Battles. 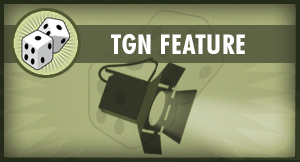 Grab some orange juice and hand sanitizer, it's time for another TGN Feature. I’ve found myself writing about Games Workshop (GW) fairly often since I joined the TGN team. I find it funny because at my local game shop, I’m actually more known for my adventurous interest in indie games and miniatures. I promise to touch more on that in future features. Recently, GW has produced a number of miniatures and games that I have found interesting for one reason or another. So of course, I’m going to write about them. Just when I thought I was out… they pull me back in. 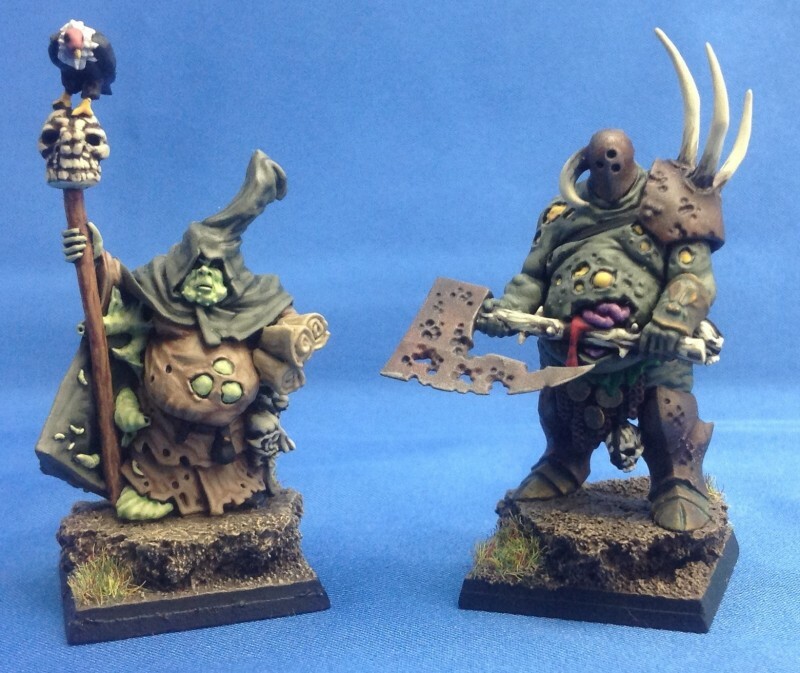 In the case of the upcoming Putrid Blightkings, it’s because Nurgle is a personal favorite Warhammer institution. 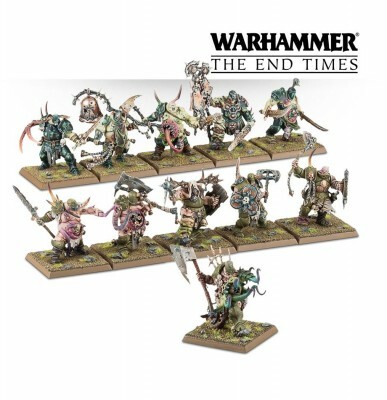 Sure, that kind of nomenclature is more appropriate for GWAR album titles, but the new miniatures still look awesome. That goes a long way in my book. Also, they are a part of The End Times, an apocalyptic event threatening to change the face of the Old World forever. (At least, that is what they claim.) Who wouldn’t want to be a part of that? Grandfather Nurgle is one of four chaos powers that routinely terrorize the world of Warhammer Fantasy. As the oldest of the ruinous powers, it has plagued the world of man for time beyond measure. Nurgle’s domain is disease, ruin, and decay. It reveals in inflicting wretchedness, corruption, and blight amongst mortals through a host of plagues and vermin. Each successful strain expands Nurgle’s hold in the physical world, and by virtue of its connection, the Realm of Chaos as well. All the Chaos gods are capricious, but some long-standing rivalries do exist. Nurgle finds itself at odds with Tzeentch, the scheming Lord of Change. One would think that a god devoted to entropy would find a god devoted to change a boon companion, but Nurgle is only entropic to a point. It may herald death and decay, but the followers of Nurgle remain in a stagnant state beyond death; the greatest temptation for the acolytes of the pestilent one is safety from death’s embrace. The most recent issue of White Dwarf let the bot flies out of the bag regarding the statistics of two of the new releases: Putrid Blightkings and Gutrot Spume. The miniatures derive much of their look from the popular Nurgle Chaos Lord plastic character kit. This was a great move, and not just because it happens to be one of my absolute favorite models from the modern GW era. It’s a wretchedly beautiful miniature. I can tell I’m not the only one infatuated with it, as this figure shows up frequently in painting competitions and as a part of many conversions. Anyone who follows the great John Blanche knows that he has used this model as the base for numerous Inquisitorial henchmen. These figures appear to be fairly large. Each is mounted on a 40mm square base. They don’t look quite as beefy as miniatures like the River Trolls or Minotaurs, but they are larger than your average Chaos Warrior. I’m a bit of a “chubby chaser” when it comes to miniatures. I find the appearance of these bloated corpse bags perfectly delightful and an excellent visual counterpoint to the standard, six-pack abbed warrior. Putrid Blightkings are brick walls on the battlefield. The combination of Toughness 5, 3 Wounds, Chaos Armor, and the Mark of Nurgle makes them extremely durable. In addition, their Bountiful Blades rule means they can select their weapon choices each round. This is similar to a rule Black Orcs possess, allowing them to choose between great weapons, two hand weapons, and hand weapon and shield at the beginning of each fight. Choosing hand weapon and shield will grant them the parry save in melee, giving them even more staying power. I find their classification as infantry perplexing, and I hope it is a typo. If it is not, they will miss out on some serious benefits held by their other large-based brethren. Infantry do not receive their full attacks from the second rank and also do not have the Stomp special rule. This could be seen as a detriment to the more competitive minded players (not me) at their steep cost of 230 points for a minimum sized unit (5) with full command. Gutrot Spume weighs in at 250 points and has a potent stat-line. His Leadership 10 will help the Putrid Blightkings hang around, but his Initiative 7 is completely wasted on his great weapon. Spume also has two unique special rules: At Home On Land or Sea allows him and his unit to ignore areas of water on the battlefield, and Flailing Tentacles means he will be attacking 6-8 times each round. Despite this, he seems a bit pricey for his abilities. Chaos Lords are always going to be expensive, but his lack of any ward save could get him into serious trouble when facing other heavy hitters in a challenge. A horrid horde of plague-ridden monstrosities are set to descend upon the Old World this week, and I have to admit that this is an infection I might catch. Yes, the models are pricy, but I like what I’ve seen so far. Admittedly, I’m a sucker for world ending “this will change the face of the game” style products, and I know GW has done this before and left their world relatively unchanged. Hopefully we will get some substantial storyline additions along with the cool new models. For the immediate future, we can see that GW is determined to maintain an almost manic release schedule. A lot of product has been hitting the shelves, and though it is completely anecdotal, I feel like it’s continuing to increase. Will this strategy influence the fortune of the company’s ailing stock? Only time and the tallyman will tell.